Beware of Jajah's mobile web app! I posted recently about Jajah’s mobile web app. It seemed like a great idea at the time. unfortunately I hadn’t tried it out before posting about it. I had an opportunity to try it out the other evening. I was trying to contact friends in New York from my mobile. 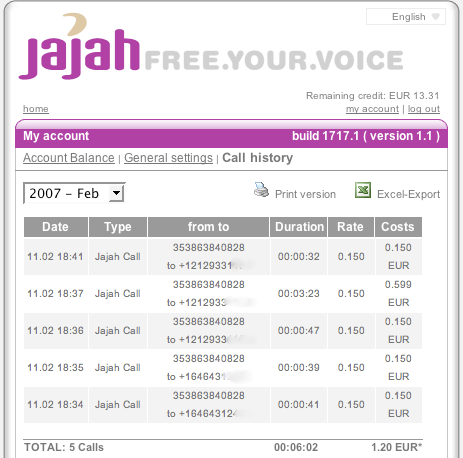 I called up the Jajah mobile web app page and called my friends. I made (and was billed for – see below) five calls to my friends’ numbers. Only one call connected us to each other and that dropped in mid-conversation. The other calls connected my friends to my voicemail (!) where they left increasingly bemused messages for me. The whole thing cost me â‚¬1.20 or just over 37c per minute – not exactly value for money! A carbon neutral data centre? I gave up on it too Tom. It stops the hang-up key working on my N70 and keeps trying to get my to make Video calls! Still have â‚¬10 credit left so I must try the webapp to use it up. I think you are confusing the downloadable plugin (which caused me all kinds of problems too) and the mobile web app. The mobile web app is a web app available through a web browser at mobile.jajah.com (that’s silly too – it should be m.jajah.com). 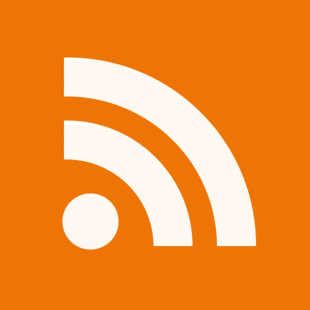 It is a better idea than the plugin but unfortunately still needs some work seemingly. Ahh, I should give the webapp a try too. You using it on Opera or Opera mini? Any difference if you tried both? GPRS or 3G connection? I assume you have some sort of data package with your mobile provider? I was using the built-in browser on the N70 Conor, whatever that is! I was using it over GPRS and no, I don’t have a data plan with my provider (Vodafone) as I use 3G/GPRS very infrequently ‘cos even with a data plan I can’t justify the expenditure! Ahh, the joy of being an early adopter! The problem with early adopting VoIP technologies as with anything else is that you are the guinea pig! !